Exactly a year after his death, local musicians will celebrate the life of legendary guitarist Lonnie Mack on April 21 at Madison Theater. 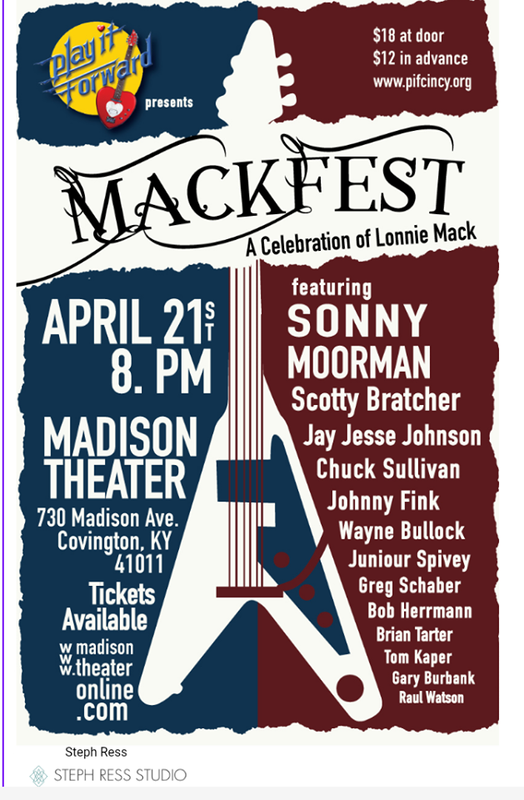 Called "Mackfest," the concert features Sonny Moorman, Gary Burbank, Scott Bratcher, Jay Jesse Johnson, Chuck Sullivan, Johnny Fink, Wayne Bullock, Junior Spivey, Greg Schaber, Bob Herrmann, Brian Tarter, Raul Watson and Tom Kaper. It's a fund-raiser for Play It Forward, the charity to help musicians facing large medical bills created 10 years ago by Burbank. "We had been kicking the idea around a concert to honor Lonnie Mack for some time. There are so many players from this area that looked up to him, so we decided to put a bunch of them on stage playing his music," says Kaper, Play It Forward executive director. "It just so happened that the Madison Theater was available April 21 among other dates. We thought it would add a little significance to the show -- especially since Lonnie was somewhat overlooked when Prince died on that day as well," Kaper said. 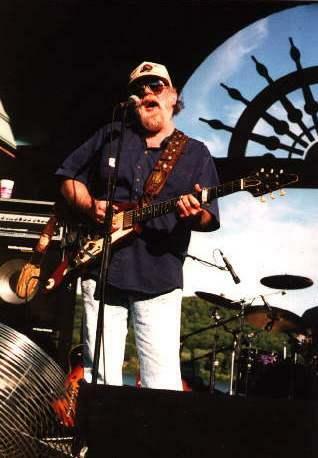 Aurora native Lonnie Mack died April 21 last year at his home near Nashville. He was 74. His first hit was an instrumental version of Chuck Berry's "Memphis," recorded at King Records for Cincinnati's Fraternity label in 1963. He followed it with another instrumental, "WHAM!" His blues-rock style influenced Eric Clapton, Keith Richards, Stevie Ray Vaughn, Duane Allman and many others. "I never met Lonnie, but I was a big fan ever since I heard 'Memphis,' " Burbank tells me. "Lonnie Mack's level of playing was in another unapproachable stratosphere for most, but the players coming for Mackfest are all from different planets, as was Lonnie Mack. Anyone who gets off on great guitar, will be absolutely blown away. Some Earthlings just won't understand, but it'll be a life changing experience. 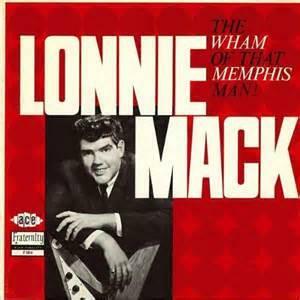 Lonnie Mack's "The WHAM of that Memphis Man" album on Fraternity Records. "I plan on watching, then go home and smash my guitar to bits because it can't play like that," Burbank says. "It's just unattainable for me. It's like being good enough to play Major League Baseball. One out of a million guitar players can pay like that." "Mackfest" tickets are $12 in advance at the pifcincy website. The show starts at 8 p.m. Friday, April 21, at Madison Theater, 730 Madison Ave., Covington. Cincinnati has always been a music town. You can enjoy almost any style of music any night of the week, and attend dozens of large-scale music events through the year. But as any independent musician can tell you, as much as they love what they do, it's not an easy way to make a living and there is no safety net.